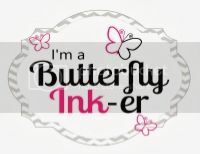 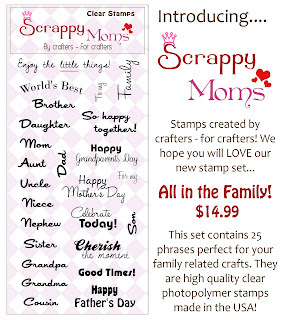 Sneak Peak#3 for Scrappy Mom's Stamps is here....Yippee!! 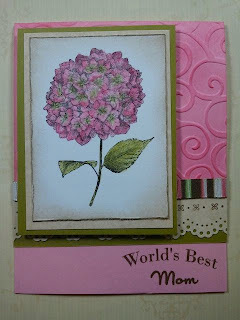 For today's card I used the All in the Family stamp set.....perfect for family members and other occasions. 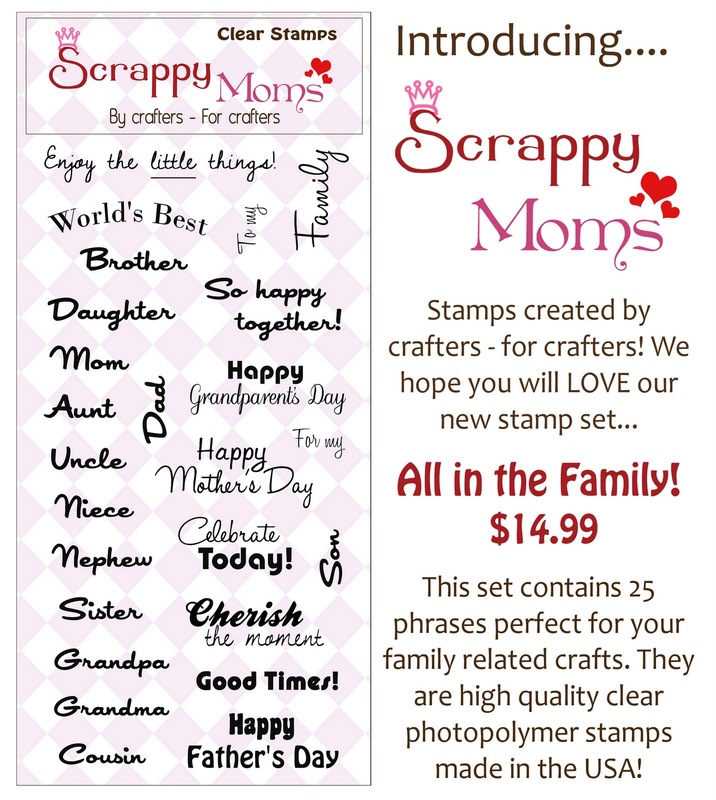 Also, don't forget to check out the other great projects by the design team. Beautiful card Miss Trisha...love it!